Greetings. I am Sharman here again to speak with you. 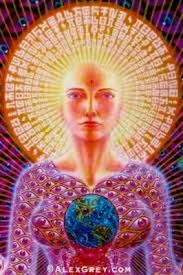 I am actually wearing an Earth vessel within your NOW, so that I can walk among you to best feel the human energy fields. I wear different “disguises” on different days depending on what area I am visiting. At the end of each day, I return to my cloaked Ship to “call home” to share what I have experienced. I was chosen for this mission because I spent a long lifetime as a human and learned to “read” many of the thoughts and emotions of the humans that I observed. What I have perceived is that many of you are feeling VERY tired. I have also observed that many of you feel like you are leaving soon, but you do not realize that “soon” is a third/fourth dimensional term. In the fifth dimension, there is only NOW, so “soon” does not exist as there is only the NOW of “no-time.” However, I have observed that many of you are experiencing a transmutation of your entire physical body. These physical transmutations, as well as your relationship with thoughts and emotions, are going through a total “remodel.” I have observed that many of you have very full lives in which you are very busy within your third/fourth dimensional self. Then, when you relax, even though you may not be aware of it, you can release the tension of your expansion/return to your SELF into the fifth dimension. Yes, there is a “tension” regarding your shift. Your third dimensional form is being called on to transmute into a frequency that was only experienced before you took an Earth vessel on third dimensional Earth. 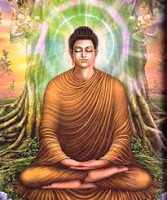 Therefore, I wish to remind you that you do not need to worry about your physical body, as it will be automatically be transmuted into it’s higher expression as you continue your journey. “How am I doing, and where am I on my journey?” I perceived in the thoughts of many. Yes, your thoughts and emotions are very clear to my fifth dimensional perceptions, and as your consciousness fully expands into the fifth dimension, you too will consciously perceive the thoughts and emotions of others. What I have observed is that many of you are doing quite well with your journey, as it is a journey of consciousness. Part of the reason why so many of you are so tired is because the frequency of your consciousness is MUCH higher than the frequency of your body. 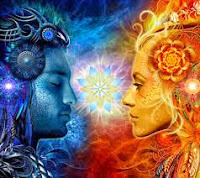 However, your body cannot transmute too quickly because the 3D patterns of connection within your body elementals are too slow to contain all the higher frequency energy fields. Therefore, you are using your higher frequency, Multidimensional Mind, your Third Eye, and your High Heart to assist you in your process of adapting to the higher frequencies of your reality. Within your NOW, the lower third dimension is slipping from the awareness of the Ascending Ones. 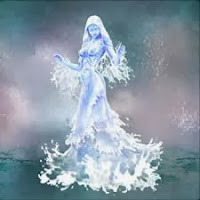 As you continue your Multidimensional journey into the fifth dimension, you will discover that you feel less fatigue. I also observed that many of you had created what I would call an “overlay of your Lightbody network.” In other words, many of you are consciously, or unconsciously, feeling your Lightbody floating just beyond, yet around, your physical form. I have noticed that more and more of you are becoming aware of this “overlay.” As you become increasingly aware of what may appear to be an “external” Lightbody network around your physical form, you expand your “sense of self” to include your ever-expanding aura. You will experience this overlay of Lightbody via a sensation just above your skin. You will only be able to perceive this overlay when you are in a higher state of consciousness. But, once you have perceived it, it becomes quite more natural to feel this overlay of Light whenever you remember to center your consciousness on Unconditional Love. As you feel the interdimensional Unconditional Love within your consciousness, you will begin to sense it as it “tickles,” embraces, and surrounds your Earth vessel. As these sensations come online with your third dimensional perceptions, you will begin to perceive your daily life in an expanded manner. Before your expanded perceptions came “online” in your daily life, you experienced reality as “only physical.” However your expanded perceptions are VERY sensitive to interdimensional energy fields. These interdimensional energy fields seem to suddenly occur – then, just as suddenly, they seem to disappear. 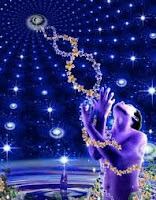 It is not that the energy fields are coming “in to” and “out of” your life. What is occurring is that your calibration to the higher frequencies is coming online, then offline, then online as your consciousness changes from higher fourth and fifth dimension, then back to lower fourth and third dimension. The frequency of consciousness determines the perceptions that you can consciously register in your brain as being “real.” There are many interdimensional visions, sounds, and thoughts entering your consciousness within this NOW. By “interdimensional messages” we mean the messages that are traveling through at least two of the higher dimensional frequency bands around Earth, as well as two higher dimensional frequency bands of your consciousness before you perceive it via your physical awareness. 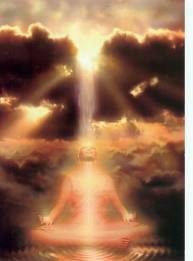 Most of you will first feel these energetic communications via your physical body. Your physical body is much like the encasement around a long-range radio. Most of these, higher frequency message are first directed to your High Heart. Interdimensional messages are first received via your High Heart because the Three Fold Flame within the ATMA (core) of your High Heart is your own interdimensional center. Your ATMA is your “interdimensional center” because the Unconditional Love, Infinite Wisdom, and Multidimensional Power within your ATMA are all interdimensional qualities. Then into your High Heart to be translated. The frequency of these interdimensional messages cannot be fully accepted by your conscious awareness before they are grounded. If you were aware of them before they are grounded, they might feel like as electrical buzzing. Fortunately, every time you ground an interdimensional message, it re-enters your physical form, and is then routed to your High Heart so that the interdimensional communication can be translated into a message that you can more clearly understand. Some will perceive the message via their clairaudience — interdimensional hearing. Some will perceive the message via their clairvoyance — interdimensional vision. Some will perceive the message via their clairsentience — interdimensional feelings. Please remember that an interdimensional message comes into your awareness within the NOW of the ONE of the fifth dimension. If you push it away because you are not ready to hear it, you will not be able to recover that NOW. However, if you say, “I am ready to receive that message into my body.” You will naturally discover a NOW in which the message, that has been stored in your High Heart, will suddenly arise within your conscious awareness. People often think they have no choice about what happens with their time, which puts them into a state of “victim consciousness.” I remember having that experience myself when I volunteered to take an Earth vessel to better understand being human. Therefore, I am not judging you for that behavior. But, I also remember how very sad and lonely I was when I lost contact with my own inner power. 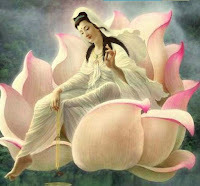 In fact, I am writing this message now to assist you to remember that YOU are a Multidimensional Being who chose to take an Earth vessel within this NOW to assist with planetary Ascension. Since my return to “wearing an Earth vessel,” I realize how much the energy fields of Earth have shifted. Because I returned to the NOW of my fifth dimensional reality, I have no sense of how it felt to my human friends during the “time” of my absence. However, because I did not go through the slow adaptation that all of you brave Grounded Ones went through, I can more easily experience the extent of shift between my return to the Ship and the NOW of my return to Earth. “Bravo dear humans,” I say. “I am so happy to experience the overall rise in the resonance here on planet Earth. I can also sense Gaia urging me to tell you all that She, also, greatly appreciates your assistance. 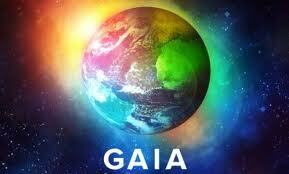 Yes, Gaia and Her planetary Self are an “alive, sentient, planetary Being. She also wants me to share with all of you that her fifth dimensional core is expanding more and more towards her surface area on which many of Her inhabitants live. As you open your communications up to Gaia, She WILL answer. In closing, I wish to remind you again that in the fifth dimension YOU are the complete creator of your life. In fact, your every thought and every emotions, becomes instantly manifest. If you see a tall, thin man with a hat and big sunglasses to protect my Pleaidian eyes, it just may be me. Otherwise, see you on the Ship.